Just because the temperatures drop—and the snow drops in too early?—doesn’t mean the festivities stop. 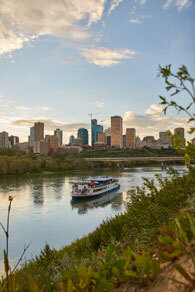 To prove it, here’s a list of Edmonton’s best fall attractions to keep you enjoying the city’s great outdoors. 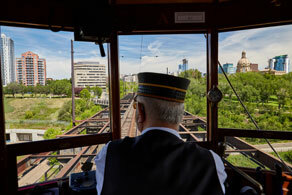 Enjoy a beautiful view of the river valley, and get a glimpse into Edmonton’s history on the High Level Bridge Streetcar. The Streetcar service first opened in 1913, but was abandoned as the popularity of automobiles rose. Today, the ERRS boasts the largest fleet of heritage electric streetcars in Western Canada. Find out more about the history here. 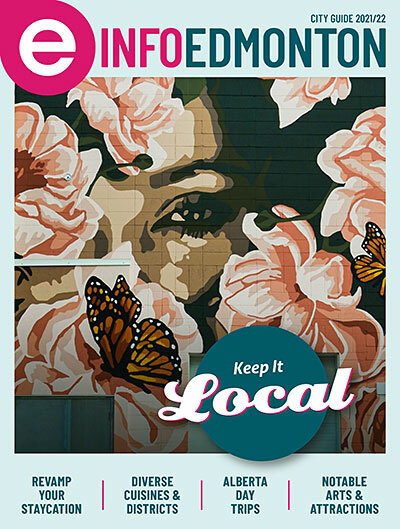 Lace up your shoes for the Fall Gallery Walk in the 124 Street Gallery District. Each of the eight galleries within the two-block tour hosts a special exhibit, offers refreshments, and provides information about the artwork. 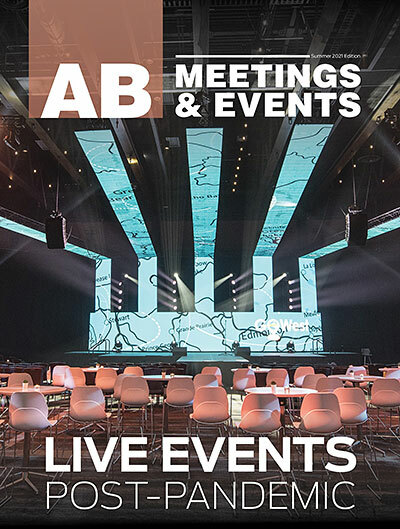 You may even have a chance to meet some artists! Missed the walk? The galleries are open year-round for tours at your leisure. 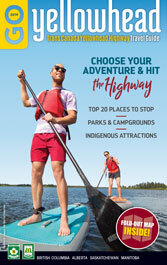 Although Fork Edmonton Park is closed for general admission in the fall, the park holds various events through the autumn months. Experience the history and traditions of Indigenous Peoples on Treaty 6 territory on a Métis Voyageur Canoe Experience, attend the annual Halloween festival, or catch an old flick at the Capitol Theatre on Thursday evenings. Each month has its own theme. September’s? “Back to School,” of course! Capture the beautiful sugar maples that flourish in autumn with a family photo session along north 97 Street. The sugar maples—also known as acer saccharum—were planted by the Canadian Armed Forces when Griesbach was a Canadian Forces Base. The gorgeous trees are native to eastern Canada, from Nova Scotia through to Southeastern Manitoba, and rarely grow in Western Canada, making them a rare Edmonton sight. 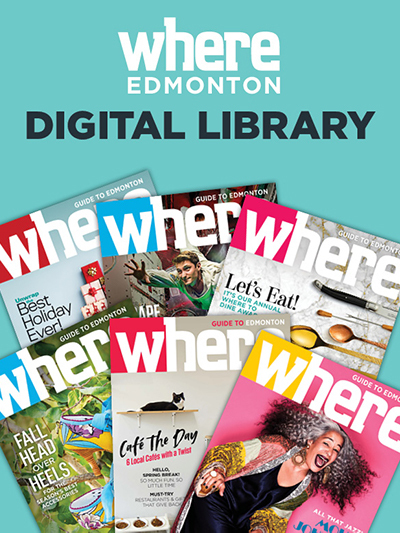 October 2018 issue of WHERE Edmonton. Grab a toque, and head to Edmonton’s Commonwealth Stadium for some hometown spirit at a local football game with the Edmonton Esks. Want to find a great family deal? Check out more here. 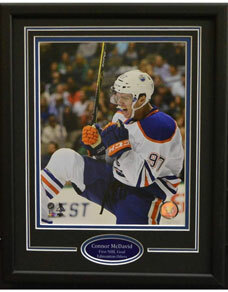 WHERE Edmonton is giving away a framed Oilers photo from West Edmonton Coin & Stamp! This photo features Edmonton Oilers player Connor McDavid after his first NHL goal. 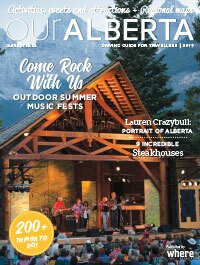 To enter to win this iconic keepsake, follow WHERE Edmonton on Twitter and watch for tweets about the contest! We will draw for the winner on Oct 9.